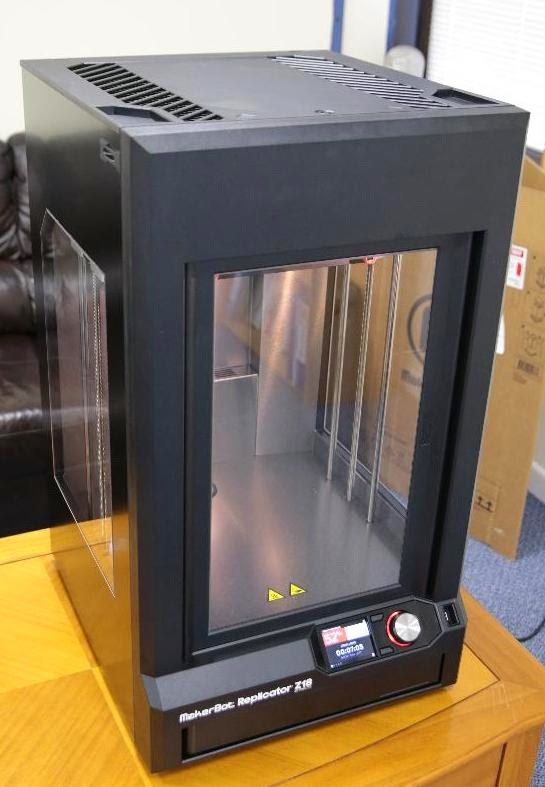 RevK®'s rants: Why did I buy a Makerbot Z18? We got a Z18, so why? 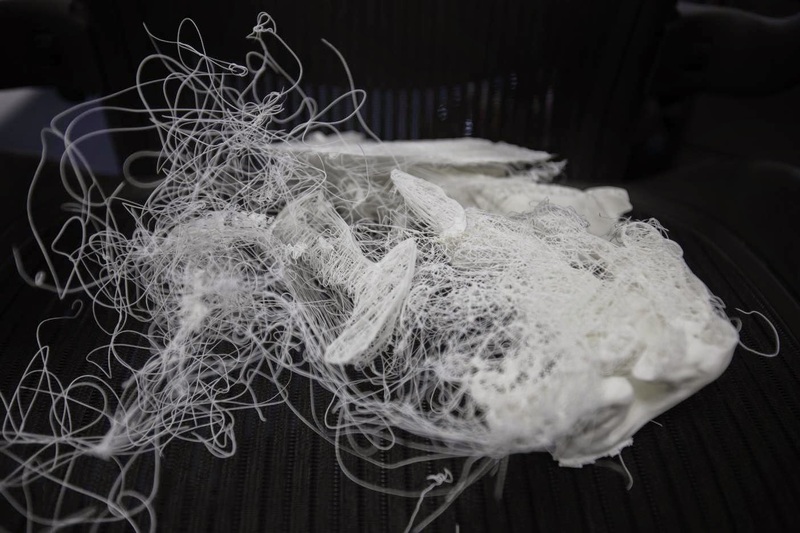 There are literally hundreds of other 3D printers out there - some large and some small, using different printing systems, the choice is endless. The simple answer is that we had a Makerbot Replicator 2. That really is a "plug and play" 3D printer. It just works. The software just works, the printer just works. The fun is in designing things to print, but the printing itself just works. Makerbot did a good job with the Replicator 2. The Z18 is the newest and biggest from Makerbot. It has the next generation of extruder, and it allows much bigger prints. It has a heated chamber which should mean it can print large items without it curling-up as it cools. It is the obvious next step from the Replicator 2. We bought the Z18 almost entirely on reputation and experience with the Replicator 2. Makerbot had a good reputation! I believe the Z18 was launched back in January but only just began shipping recently. It is not a beta testers or early adopters model. It is launched. But now we find that the main reasons for buying it are bogus. It is not as good as the Replicator 2 - the prints are not as robust, the base/raft is difficult to detach. We printed a door-stop and it could be crushed in your hand accidentally! It is slower than the Replicator 2, and on top of that it spends ages levelling and preparing before it starts any print. The Replicator 2 just starts: Heating and then one cleaning strip of plastic on the edge and off it goes. Simple. The Z18 takes forever. The heated chamber seems not to actually be possible to enable. The support staff seem to be of the impression that they have not really finished the firmware yet. It is, overall, a shambles. It is very likely to go back. Which means I have to wonder if and what we get instead - what is the best 3D printer out there now? Ideally we want something we can use commercially and sell printing and our expertise. Update: We tried printing something larger - the main reason for having a Z18 is the large size of print. We were not actually trying to print angel hair pasta, honest. You could convert it into a really expensive candyfloss machine for the next A&A Staff party? My Coat? It's the one over there, ta.